Bestselling author Guy Chevreau contends that spiritual warfare is more about worship than it is about war. He has written this book because he believes that there are some seriously skewed views on spiritual warfare in the Church today and hopes to bring a degree of balance. The basis for this book is the authors belief that we should mainly be focusing our attention on Jesus - all that He is and all He means to us - and also on the biblical truths about who we are in Christ - the authority God gives us as believers and the great promises of protection the Bible offers. We should not spend an inordinate amount of time and energy focusing on the devil and his demonic schemes. Rather we should only given them peripheral attention, choosing instead to keep our eyes fixed on Jesus (Hebrews 12). Our Eyes Fixed On Jesus by Guy Chevreau was published by New Wine Ministries in July 2006 and is our 22892nd best seller. 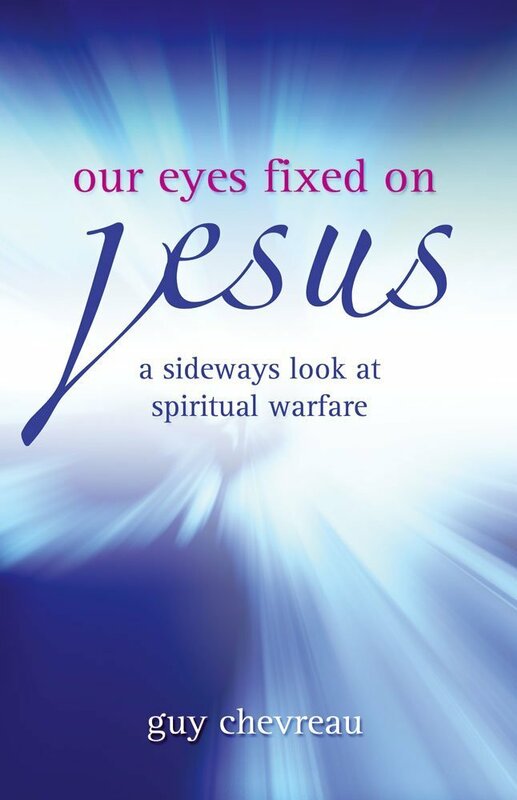 The ISBN for Our Eyes Fixed On Jesus is 9781903725757. Be the first to review Our Eyes Fixed On Jesus! Got a question? No problem! Just click here to ask us about Our Eyes Fixed On Jesus.